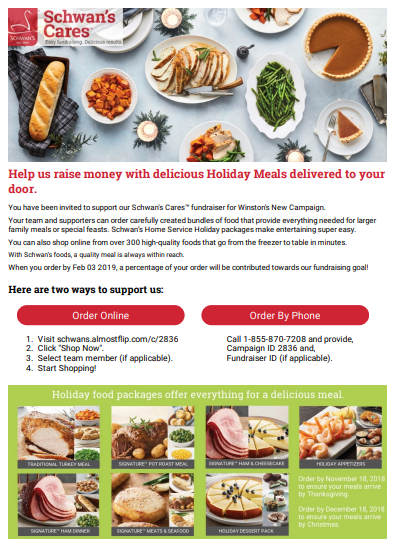 By placing an order through Schwans.com, a portion of the sales will come back in support of our all-inclusive playground! Shop from over 300 high-quality, family-pleasing foods that are flash-frozen and delivered to your door. All you have to do is enter our fundraising code when placing your order!